There’s something about the Great eastern Drive on Tasmania’s East Coast that gets inside your soul and changes you for the better. Taking some time to explore this incredibly scenic part of the world is much more than just another holiday. It’s an opportunity to stop, take a deep breath and let the natural beauty and relaxed pace untie all your internal knots and transform you from busy and overwhelmed to tranquil and refreshed in just a few days (or even hours). 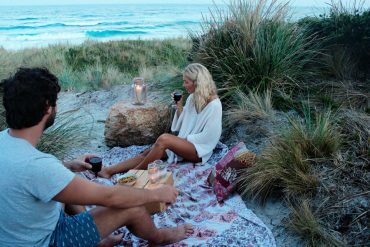 One of the best ways to explore the East Coast is by taking a road trip along the Great Eastern Drive—176 kilometres of utterly scenic East Coast highway that stretches between Orford in the south of the state and St Helens and the Bay of Fires in the north. This is a journey that inspires rave reviews from visitors and fills Instagram feeds with image after image of stunning landscapes and scenery. Keep your camera (and your sense of wonder) well within reach, because there are places and views here you just won’t be able to drive past. This beautiful coastal drive has captured the attention of visitors from all over the world. It’s a driving holiday that seems to leave a deep and lasting impression on everyone who comes here. Tasmania’s East Coast is, hands down, one of the most beautiful places in Australia. Driving along the Great Eastern Drive is almost like moving through a great art gallery, where every step reveals a new masterwork that just takes your breath away. This road trip offers countless opportunities to stop along your journey and soak up the fabulous views—and many of them have additional reasons to take a little time to linger. You’ll find picture-perfect places all along the highway to pull over and get lost in the scenery. Make sure you have your camera ready because this place has photo opportunities to die for. Quite rightly, visitors to the east coast rave about the Great Eastern Drive’s beautiful beaches. Think sparkling white sand, clear blue water and uncrowded, lazy afternoons to walk, swim, soak up the scenery and just relax. 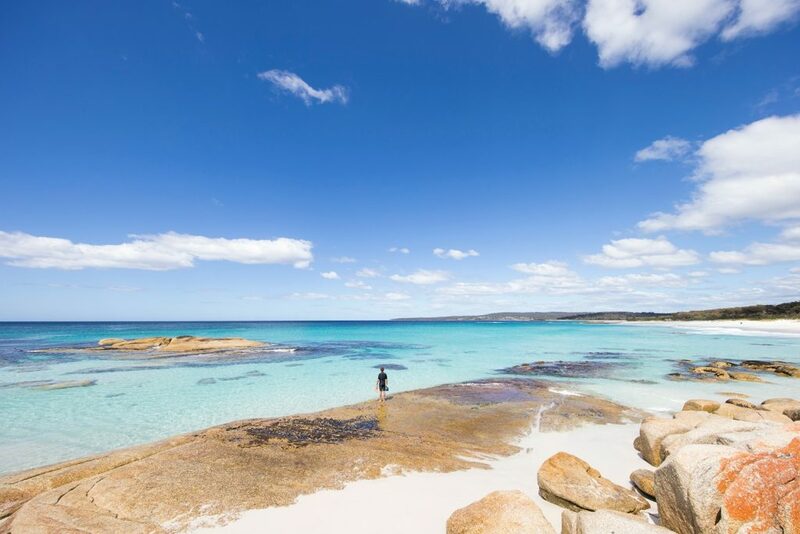 Some of the beaches here have an international reputation, like Wineglass Bay and the wondrous Bay of Fires in the region’s north. But the Great Eastern Drive has more stunning little beaches, coves and bays than you can imagine. Take time to explore and you’ll be rewarded with beautiful places like Mayfield Beach, with its lovely coastal reserve; Cressy Beach near Swansea, with it’s sugary sand and views of the Freycinet Peninsula, and lovely little Spiky Beach, where fine sand and a tumble of sea-smoothed rocks creates nooks that are perfect for hiding away with a book and a picnic basket. 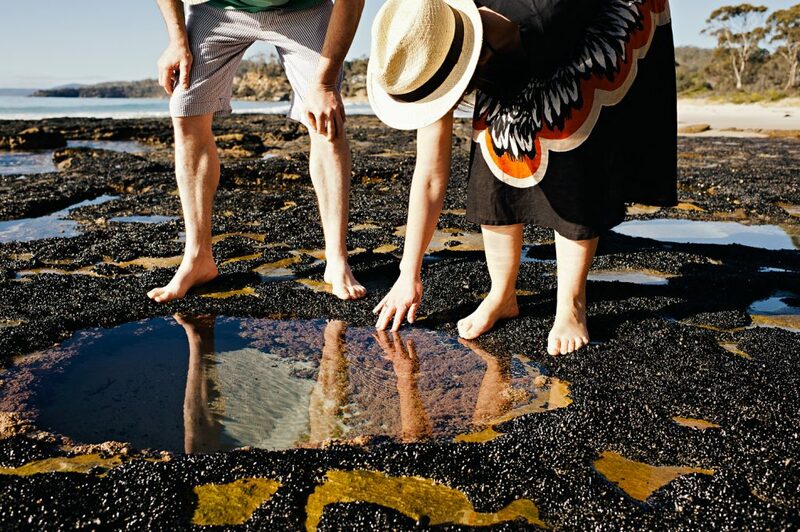 A stop along the coast will reveal beaches that make you feel you’re the first to explore them—like Raspins, Shelley and Spring Beaches near Orford, to the long beaches and rolling breaks of the surf coast, between Bicheno and St Helens Point. 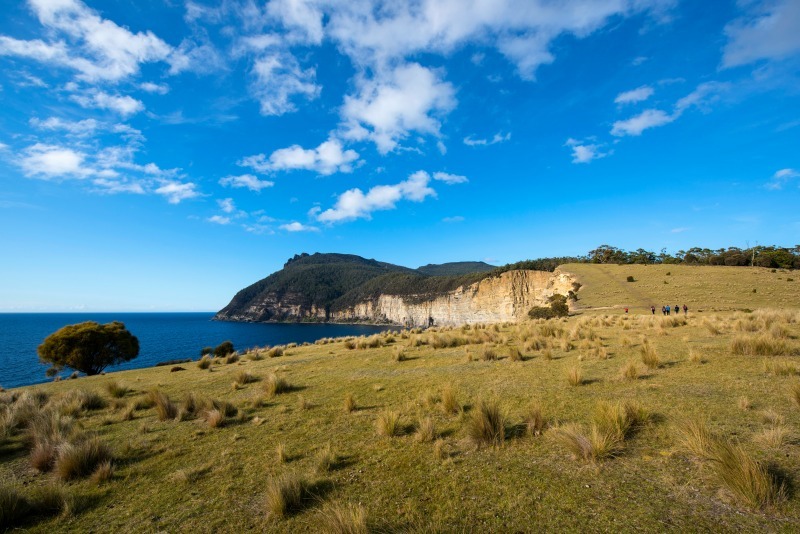 Tasmania’s East Coast is a walker’s paradise. You can wander at will or join one of the region’s exceptional, award-winning guided walks in the Bay of Fires, Freycinet National Park and the wonderful Maria Island. 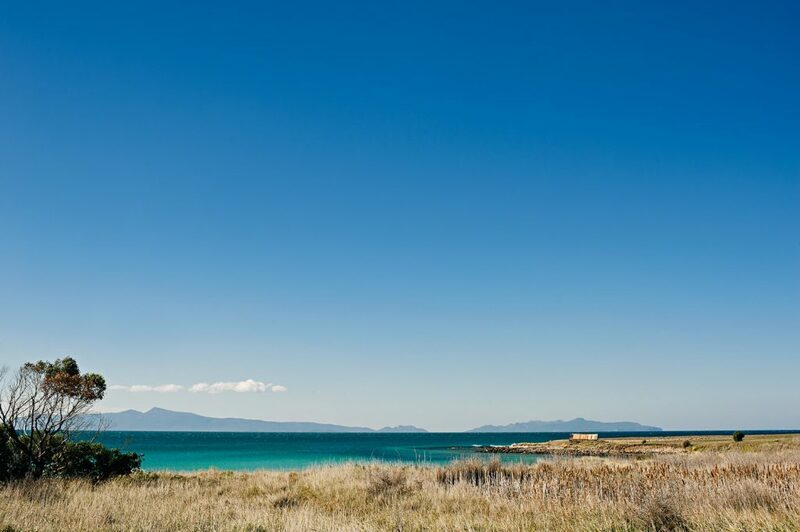 The region’s three national parks—Freycinet, Maria Island and Douglas Apsley—are threaded with fantastic walking tracks, ranging from short and easy to more challenging multi-day adventures. 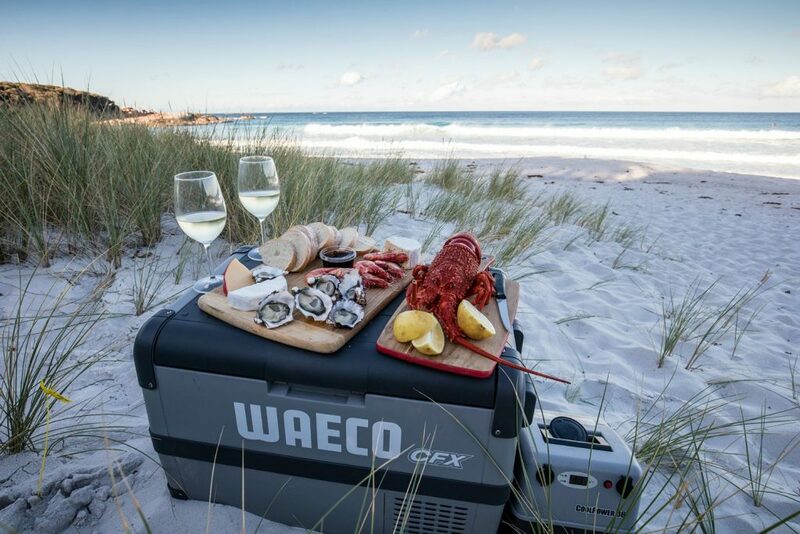 The East Coast is blessed with a mild climate, clean oceans and distinct seasons that results in some of the finest seafood, produce, and premium wines Tasmania can offer. The Great Eastern Drive leads you direct to cellar doors, farm gates and markets. Visit local producers to taste fine wine, juicy berries, crisp farm vegetables and creamy cheeses and ice cream. And stop at fishmongers at Coles Bay, harbourside fish punts at St Helens, and fish vans and markets at Swansea, Bicheno and Triabunna to sample the region’s freshest seafood. As you explore the region, you’ll find cafes and restaurants where you can enjoy local produce. Be sure to also visit providores to buy gourmet treats for your own bespoke picnic. And take time to visit farm gates at Swansea and Pyengana for even more luscious foodie experiences. The Great Eastern Drive also takes you straight to the cellar doors of some of Tasmania’s finest vineyards. Sample premium cool climate Tasmanian wines all along the coastal drive at Orford, Swansea, Cranbrook, Four Mile Creek (also beers, stouts, vodka and whisky) and St Helens. It really doesn’t matter where you go along the Great Eastern Drive, you’re bound to discover places and experiences that will become some of the best holiday moments of your life. But this road trip is blessed with a few places that are so special, they set this journey apart from any other road trip. The Bay of Fires is an other-worldly slice of coastline that stretches from Binalong Bay in the south to Eddystone Point in the north. Take the Great Eastern Drive to St Helens, and then follow the signs to reach this dramatically beautiful part of the East Coast. Factor in some time here, because it is truly incredible. Explore the vast white sand beaches and turquoise seas between Anson’s Bay and Eddystone Point or discover the many beaches like the Gardens, Jeanneret, Swimcart and Cosy Corner. Explore at your leisure, or join a guided experience. No road trip on the Great Eastern Drive is complete without a visit to Freycinet National Park. This beautiful peninsula is a place for incredible bushwalks, sea kayaking, sailing, swimming, fishing, cycling and absorbing all the natural beauty that surrounds you. 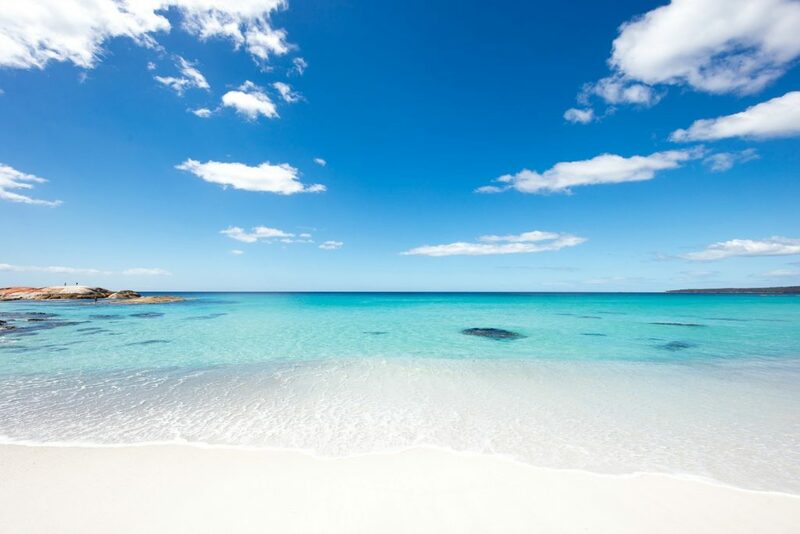 Freycinet’s best-known beach, Wineglass Bay, is a perfect curve of white sand and clear blue ocean that is considered one of the world’s top ten beaches. Wineglass may look like a remote paradise, but is easily reached from Coles Bay. Take the half-day walk to Wineglass Bay via the lookout, or for a more leisurely experience, join an unforgettable cruise. 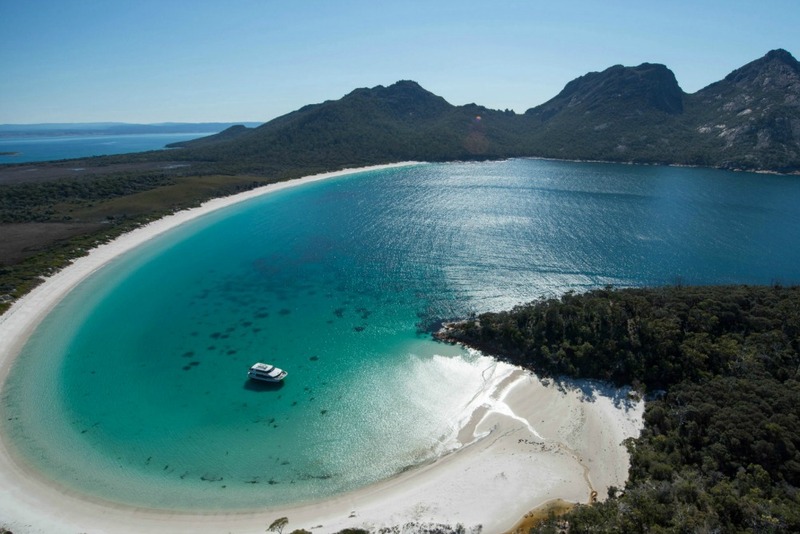 Freycinet offers fantastic guided tours, from the luxury sailing, to fishing charters, kayaking, scenic flights and four-wheel drive or quad bike experiences. 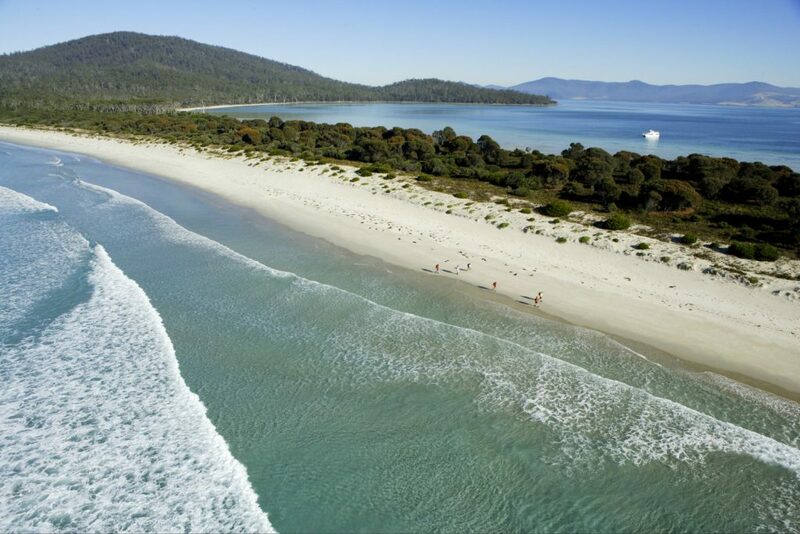 Maria Island National Park is one of the Great Eastern Drive’s most surprising and rewarding discoveries. Take the short ferry journey from Triabunna and spend a day or longer in this incredible place, which is rich in history, wildlife and natural beauty. There are fabulous self-guided walks here, from easy strolls to more challenging mountain ascents. There are no cars on the island, so it’s teeming with wildlife and perfect for walking and cycling. This is a region where your sense of adventure can be truly indulged. The East Coast offers you everything from sea kayaking, surfing and deep sea fishing, to rock climbing, four wheel driving and mountain biking. 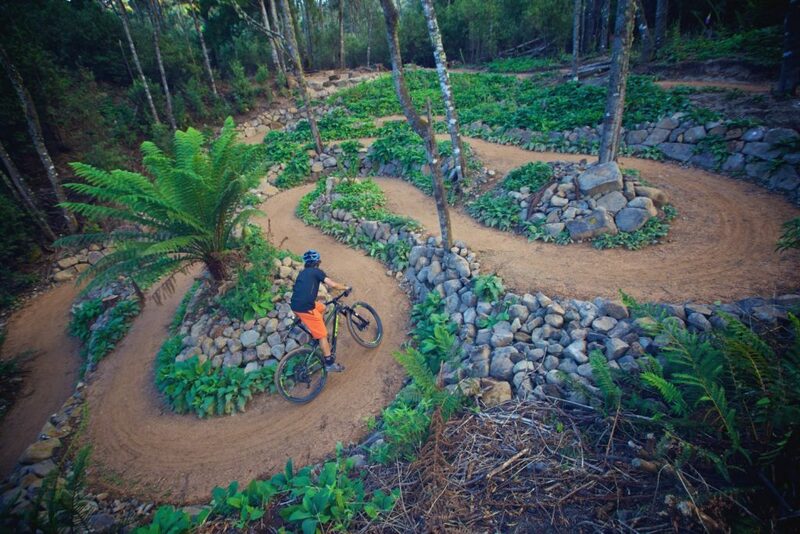 The incredible Blue Derby Mountain Bike Trail is a world-class, 80-kilometre network of mountain biking trails located in Tasmania’s north east. One of the things people love most about Tasmania’s East Coast is the opportunity it offers to encounter native wildlife, up close. Inquisitive wallabies and pademelons will sniff at your fingers as you enjoy a picnic. Sea eagles soar overhead. 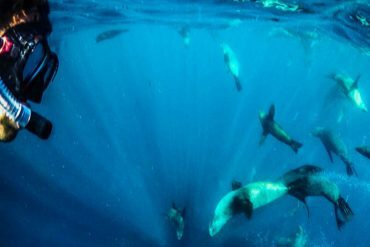 Bushwalks lead you to foraging echidnas and wombats, and the ocean reveals pods of dolphins, playful seals and the majestic sight of migrating whales. 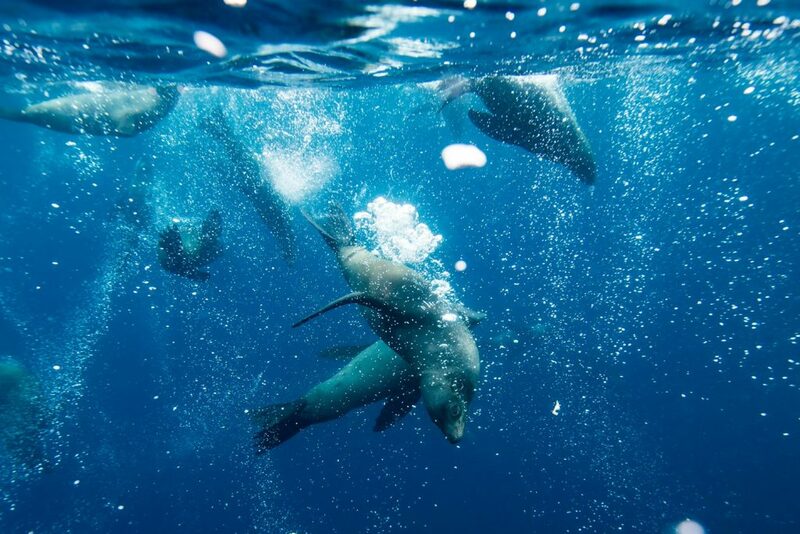 National parks and coastal reserves are prime places for wildlife encounters, and Maria Island is one of the best—with abundant Forester kangaroos, wallabies, Cape Barren Geese and a resident population of Tasmanian Devils. There are many places along the Great Eastern Drive that have well-earned reputations as must-visit experiences on the East Coast. But this region still has plenty of surprises. This is a road trip that connects you to undiscovered, out of the way places—unexpected, uncrowded beaches and bays that you’ll have all to yourself for an indulgent afternoon, quirky little cafes with luscious coffee and treats, walking trails that lead you to special places you never knew existed. This is a destination that gives you time and space to meander and see where your curiosity will lead you. Your only limit is your willingness to explore and discover. The Great Eastern Drive offers endless reasons to stop, take time to really explore and get lost in the moment. 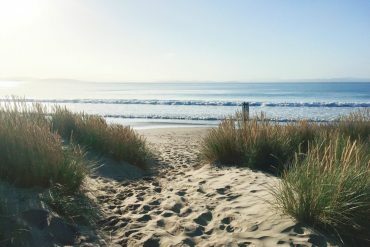 To find out more about Tasmania’s East Coast and start planning your Great Eastern Drive holiday visit our home page here. The East Coast of Tasmania looks so beautiful! Can’t wait to visit in March. How did you enjoy your time on the east coast barbh? Hope you had an incredible experience!